During media promotions, the actor talked about his character in Romeo Akbar Walter, working after a long break and the advice his mother, actress Kirron Kher, gave him. 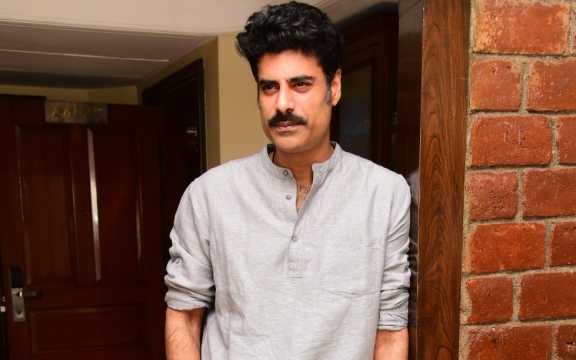 After a three-year break from films, actor Sikandar Kher is back on the big screen with a spate of films in 2019. Kher was the antagonist in last month’s Milan Talkies (2019) and his next film, Romeo Akbar Walter is lined up for release this Friday. He will also be seen Abhishek Sharma’s The Zoya Factor (2019), which stars Sonam Kapoor Ahuja and Dulquer Salmaan, this June. During media promotions for Romeo Akbar Walter at the Sun-n-Sand hotel recently, the actor spoke candidly about hunting for work, working with John Abraham and the lack of pressure he feels as the son of Kirron and Anupam Kher. Kher told the assembled journalists that he reached out to producer Bunty Walia for a role in the film. Walia suggested he meet up with Robbie Grewal, the director. “I met Robbie for the first time but the good thing was that he had already seen my work from before. He gave me a narration and whenever I meet people, which I do often, I bring my three-minute showreel to meetings. I was about to show it to him and he said, ‘No, no, I’ve seen your work.’ But I still showed it to him,” he recalled. In Romeo Akbar Walter, Kher plays a Pakistani ISI agent, Col. Khudabaksh Khan, who goes up against up against John’s character, a suspected Indian spy and RAW agent. The actor was keen to take the challenge of his cross-country rival in the period thriller. “There is only one nemesis for John in the film. [My character] is a ISI agent and only one man in the whole film who doubts him. And that’s why I wanted to do the film. I was very lucky that I got a chance to be a part of it,” Kher shared. Before the film began, Kher sat with one of the film’s writers, Ishraq Eba, to etch out how his character could be. “I thought how different I could make it from what was already written. I thought there is an opportunity here when I can bring in a Pakistani-Punjabi dialect. I used to sit with Ishraq bhai in the office and we tried to include Pakistani lehaja with a bit of Punjabi,” he said. He and John also had a workshop where their scenes were rehearsed and shaped with director Grewal. Kher teased that there are many "intense moments” between their counterparts. He went on to praise John as his co-star. “You want to stand up in the same frame and be good. That takes the other person also making you comfortable and he was just amazing. I had known him for many years but not professionally. You meet socially here and there, he’s always been lovely. But when you work with somebody, you really get to know them much better and how they are. And he really made the set really comfortable,” Kher said. Of course, the interview would be incomplete with the mention of his famous parents, Kirron and Anupam both of whom are artistes in their own rights. Sikander said he didn’t take pressure about the constant comparisons to his parents. “Who can compare me with Anupam and Kirron Kher? I can’t even think that. He has acted in over 500 films and a lot of theatre and I have only down seven films. I’m lucky that in my head I don’t care. I want to do my own work and make my own name. If I keep taking that pressure, I won’t be able to do anything if I go on set as an actor and think, I have to live up to that. I think I will crumble under that pressure,” he stated honestly. Moreover, he shared that they don’t interfere in his career or tell him how perform once. At the end of the day, it has to be his decision, not theirs. But he did open up the advice his mother gave when he was starting out. 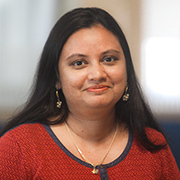 “Only thing my mom has told me, ‘If you get success in life, there’s nothing better than that. But remember one thing, failure is public. Your heart should be strong for that,” he revealed. Kher might have taken those words to heart when he had relatively less work in hand. But he said even while he was sitting home with no work, he knew that a career is only one part of life. That being said, he joked now that all of the films he had worked on in the last year, were releasing soon, he needed to go out looking for more work again. Romeo Akbar Walter, which co-stars Jackie Shroff and Mouni Roy, is due to be released on 5 April.